Professor Philip Klickman joined the St. Norbert College music faculty in the fall of 2017. His duties include conducting the Wind Ensemble and the Concert Band, and teaching courses in conducting and instrumental music education. 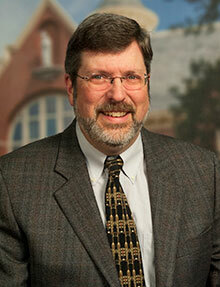 Professor Klickman also serves as director of the St. Norbert Community Band. Professor Klickman previously served as the director of bands at Frostburg State University in Frostburg, Maryland, where he conducted the Wind Ensemble and the Marching Bobcats, and taught courses in conducting and instrumental music education. He was also the Collegiate Membership Chair for the Maryland Music Educators Association. Prior to his collegiate career, Professor Klickman taught public school music in the suburbs of Chicago, Illinois. He is a member of the College Band Directors National Association, the College Music Society, the National Association for Music Education, the Society for Music Teacher Education and the International Horn Society.